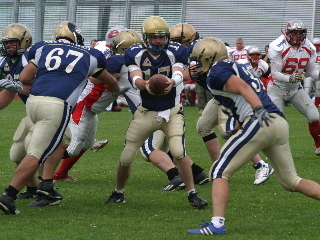 In past decades the American Football Verband Deutschland (AFVD), Germany’s governing body for the sports of American football, on numerous occasions has hosted international tournaments. 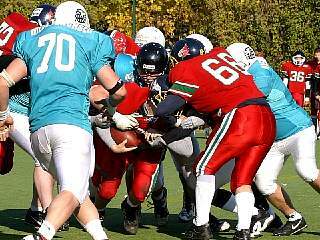 In several cases tournaments, that otherwise would have been cancelled, were re-scheduled to Germany at short notice as AFVD’s experience and reliability in regard to organizing events was well-known in the international American football community. AFVD has also played a major part in the founding process of international organizations for Europe or the IFAF. 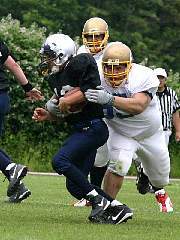 As Europe's largest national American football federation, representing 63,000 individual members - about one half of the entire European American football community - and with its national leagues like GFL or GFL Juniors, which set the standard other European leagues are measured against, it always has been a core value for AFVD to further develop American football not only by setting the highest standards on the national level, but also through international cooperation. However, another core value for AFVD as a member of the DOSB, Germany’s governing body for sports and the national Olympic Committee, is the standard model how sports in Europe is administered, which is used for all major sports not only in Europe and which has always been one of the integral parts in AFVD’s success. It requires organizational discipline: education of coaches and players, reliable game and league operations, anti-doping policies, ethical standards for federation personnel and much more. But it is the only way to achieve world-wide recognition of the sport, and until recently the world’s governing body IFAF was on the right track, as the IOC's preliminary recognition has proven. IFAF's North American affiliates, who do not run league operations in their own countries but mostly offer paid-for-fee services to players or coaches, rely on a different approach and tend to impose their business models and a corporate-based American sports model on IFAF. This is one of the reasons, to give just one example, why there still is no anti-doping policy instituted by IFAF, as has been urged by AFVD on multiple occasions. WADA's and GAISF's worldwide control system is costly to organizations and ultimately to the athletes. However, the worldwide recognition of American football as promised by the IOC or other international organizations in the long term is only attainable by submitting to these global standards - even if short-term financial profits will suffer. 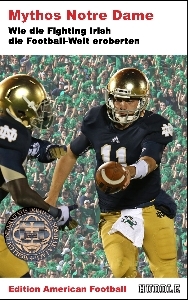 For AFVD, which in cooperation with NADA will continue to work on its own anti-doping control system on the national level, another subject is particularly regrettable: In line with the American sports business model the international tournaments in American football more and more become invitational tournaments. In places of little public importance, such tournaments are only of interest to the local organizer - and sometimes almost exclusive to him. The tournaments draw little to non-existing attendance, lack television or media presence and therefore are only possible, if IFAF not only allows the local organizers to behave like a "travel agency", but sometimes literally expects them to do so and charge attending teams for their entire travel and subsistence costs - sometimes reaching six-digit figures even for teams on junior level. For AFVD, this is no sustainable blueprint for the future. DOSB and the German Federal Ministry of the Interior have already certified that such tournaments do not meet the minimum requirements to be eligible for public funding. A long-term sustainable benefit for football in Germany is not to be expected from such invitational tournaments. And with no chance for financial backing from the Federal Republic, overseas trips of German national teams in American football can hardly be financed. 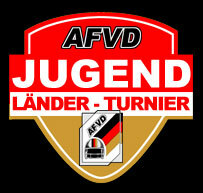 Bearing in mind the goal of further developing American football as a recognized sport, AFVD and its member federations will continue to strengthen the foundation of the sport in Germany: To promote further sustainable membership growth among the clubs, to educate and qualify coaches, referees and players, to further enhance GFL league football and extend its status as the league number one in European American football and to continue profiling its final game German Bowl as the best-attended event in European federation American football are worthwhile tasks not only for the upcoming months, but for years to come.